Sequart Organization is pleased to announce that our documentary The Image Revolution is now available to stream for free, if you subscribe to Amazon Prime. Simply click HERE and begin watching! 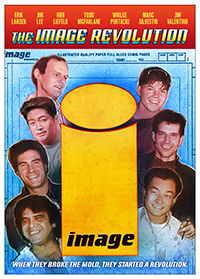 The Image Revolution tells the story of Image, from its founders’ work at Marvel, through Image’s early days, the ups and downs of the ’90s, and the publisher’s new generation of properties like The Walking Dead. The Image Revolution is currently being distributed by Shout! Factory. Sequart Organization is devoted to the study of popular culture and the promotion of comic books as a legitimate art form. Sequart has released twenty-five books, seven documentaries, and thousands of online articles. 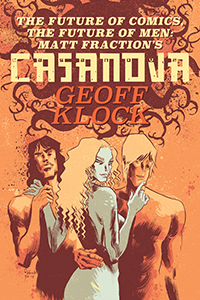 Its documentaries include Neil Gaiman: Dream Dangerously, and its books include The British Invasion: Alan Moore, Neil Gaiman, Grant Morrison, and the Invention of the Modern Comic Book Writer. Tagged Amazon.com, Erik Larsen, Image Comics, Jim Lee, Jim Valentino, Marc Silvestri, Rob Liefeld, Robert Kirkman, The Image Revolution, Todd McFarlane, Whilce Portacio. Bookmark the permalink.